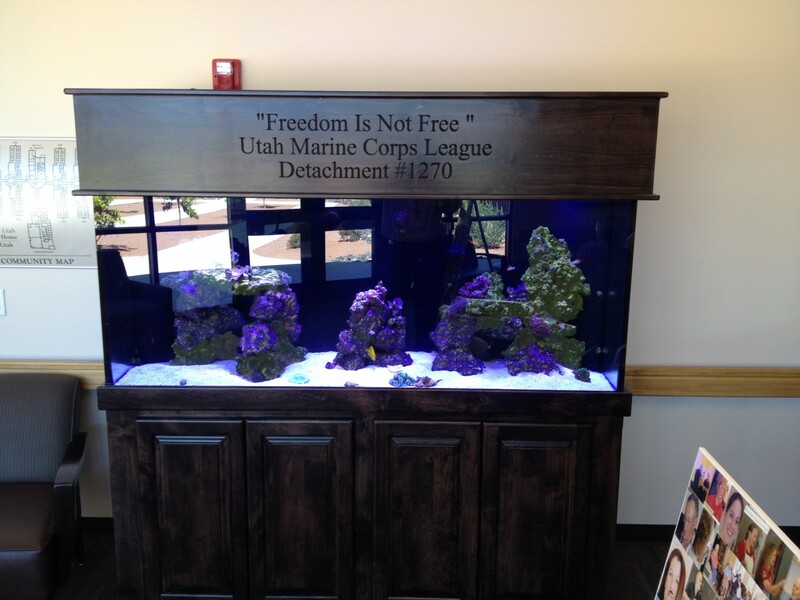 Marine Corps League Detachment #1270 recently donated a large salt water aquarium in honor of the veterans residing at the Southern Utah Veterans Home. The new aquarium is a beautiful addition to the two year old state of the art facility. “We strive to create a welcoming, home-like setting for our residents and visitors, and now, thanks to the Marine Corps League we are able to enhance our campus atmosphere for the pleasure and enjoyment of our resident family members.” explained Jerry Olson, Administrator, Southern Utah Veterans Home. Please join the Southern Utah Veterans Home for this community celebration and an opportunity to tour the campus. Utah Dixie Detachment #1270 serves the community in a range of programs focused primarily on youth and veterans. Locally supported programs include: Toys for Tots, Marines/Families in Distress, Devil Pups Youth Program, Sheriff’s Office Explorers, Shop-With-a-Cop, and Memorial Services/Funerals for Deceased Veterans. The Utah Dixie Detachment #1270 is an officially recognized 501c3 charitable not-for-profit organization. We provide patients the most affordable, high-quality services for all recognized Utah veterans, spouses and surviving spouses who require a skilled or long term nursing home as defined by the VA or Medicare and as certified by a physician.